Fibre optic and ADSL connections could soon deliver quad HD TV to our homes. KDDI, the Japanese company that recently started an online service delivering DVD-quality movies to domestic customers has upped the ante to send quad-HD films down the same pipe. 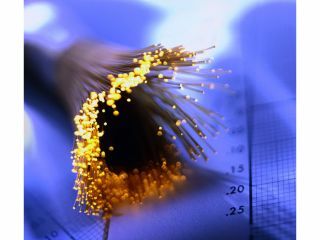 Although the unnamed technology is still in the labs, KDDI R&D claims it can fit video of the same quality as the Digital Cinema Initiative (DCI) requires into a typical ADSL or fibre-optic internet connection. To maintain a resolution four times that of standard high definition, DCI video consumes bandwidth at 250Mbit/s - KDDI's new version does the same thing at just 20Mbit/s. Although that may still be beyond most domestic ADSL subscribers in the West, broadband in KDDI's native Japan is typically anywhere between 50Mbit/s and 100Mbit/s, making the new delivery system eminently possible. The H-264-compliant method relies on working out which parts of an image change most from frame to frame, looking at the colours and movement therein, and then applying the most appropriate compression algorithm. Although the current prototype uses eight processors to handle the calculations, KDDI is confident such onerous requirements can soon be done away with.